Today, 31 May, Reconciliation Week 2018, we held a flag raising at the Shire offices in Greensborough. 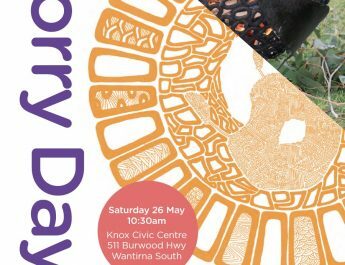 Wurundjeri woman to give acknowledgement to her country and elders. Brooke spoke of the long history of her people and told a story of the flooding of the plain which became Port Phillip Bay to illustrate how Wurundjeri people told the truth of their lives and history. Make a little jump and as you land say: This is ancient Wurundjeri land. Cross your hands over your heart: We will listen to your story. 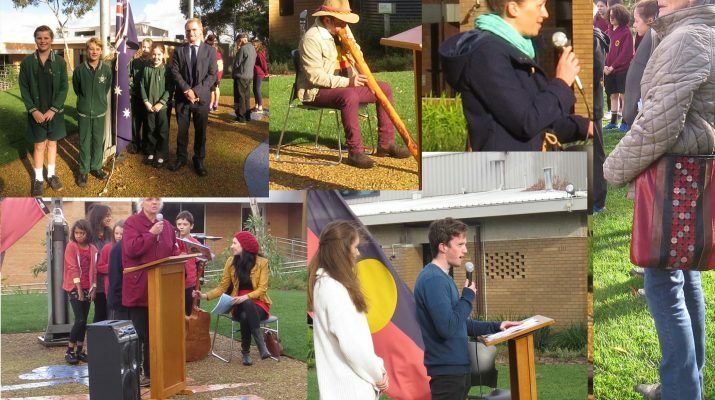 Statements for reconciliation were made by Eltham East PS, Eltham HS, Hurstbridge Learning Co-op (in song) and Catholic Ladies College. 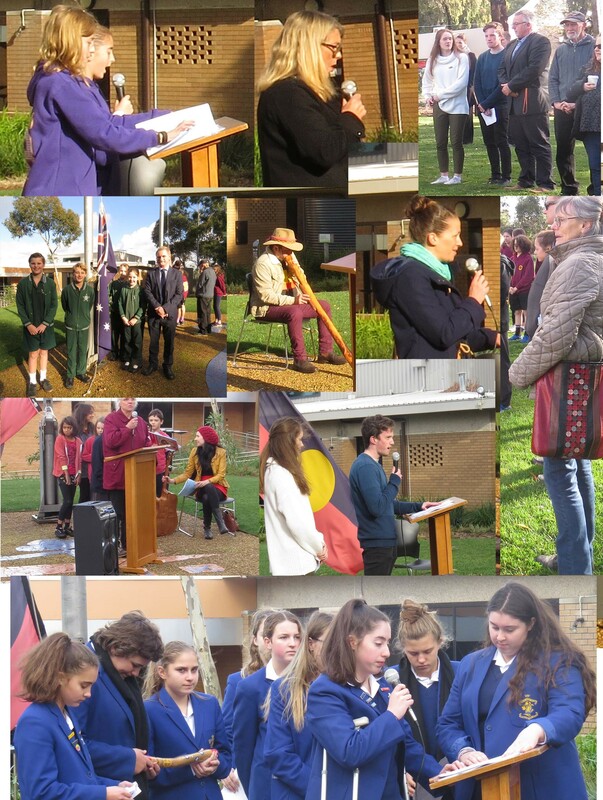 The Aboriginal flag was raised by Eltham PS and the Australian flag by St Francis Xavier PS. Afterwards we went into the Shire rooms to thaw out, have hot drinks and lots of snacks. And of course, lots of talking and making contacts.